In 2383 the Borg launched an all out offensive into the Alpha quadrant, worlds were lost, entire races wiped out. In 2400 we drove the Borg out of our space, but at a high price, some would say too high a price. For 7 years the Federation enjoyed the peace it had struggled so hard to create, but new factions have emerged, which would do anything they can to destroy what little we have left. Now the choice is yours, will you step up to the plate, and defend what�s left of our civilization? All that stands between the Federation and its certain destruction are the men and women of Starfleet. 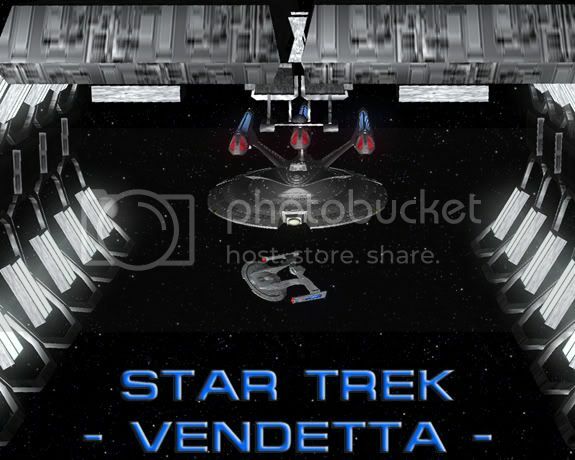 The Vendetta is extremely active, and every poster is expected to keep up with the story, and maintain regular posting which contributes to the story. No role is insignificant when the fate of the entire galaxy is at stake.